Griffith University is a public research university in southeastern Queensland on the east coast of Australia. 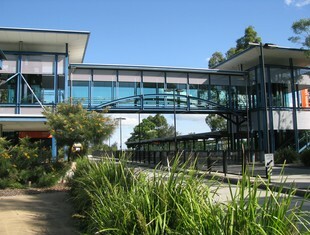 The university has five campuses located in the Gold Coast, Logan City and the Brisbane suburbs of Mount Gravatt, Nathan and South Bank. Current total enrolment is approximately 43,000 with 4,000 full-time equivalent staff. Griffith University offers undergraduate and postgraduate degrees across ten discipline areas including Arts, Education, Business, Health, Law, Engineering, Information Technology, Environment, Music and Visual Arts.